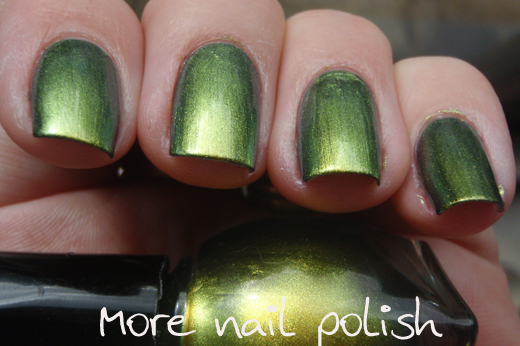 This is another old ozotic pro nail polish, circa around 2003. I bought this the same time I bought this old Ozotic. I used this polish as the last colour on my tip in my autumn mani a week or so back, and realised that I really had to swatch it on its own. This was two coats over black. 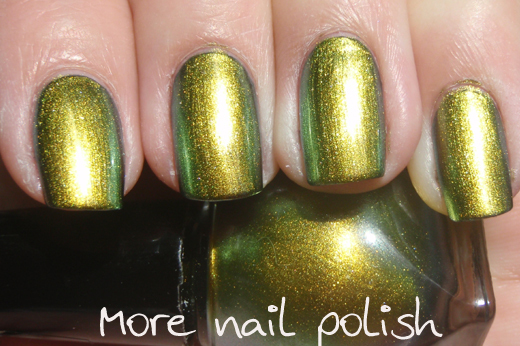 It's a rather interesting colour, gold with green duochrome, and an amazing metallic shimmer. It's a shame that this colour isn't available in their current range as I think it's a real stand out. 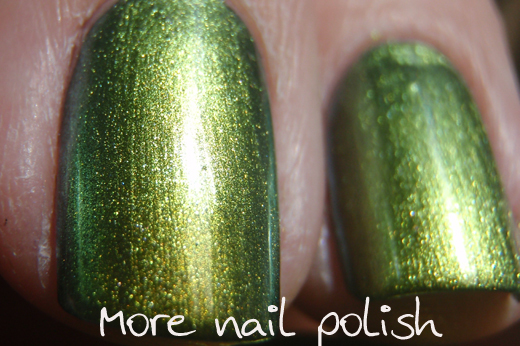 This shows the green duochrome. I just love pulling out these old colours from my stash, although it does make me feel a little old. Gorgeous color, thank you for sharing!! Gorgeous shade. Don't worry about feeling old - I've still got some perfectly good polish from the '90's!!! Oh i love green this is great looking too. I've never heard of this brand. That's a great color! this is look almost like chanel peridot eh?